The U.S. Navy SEALs are known to have a very diverse small-arms locker, one full of the best and most durable firearms available. So when they decide to get behind a certain weapon in a big way, it tends to be big news. Now, after toting metal-framed Sig Sauer P226s on missions around the globe for three decades, a new pistol will reportedly take its place: the hugely popular Glock 19. Scuba Diving In A War Zone? Better Bring Your Underwater Gun! Glocks are known for many things, and some of them controversial. Yet the Glock’s biggest calling cards among firearms, law enforcement and military communities are their durability, streamlined functionality and outright simplicity. Austrian Gaston Glock created the Glock handgun concept in the late 1970s, with the initial Glock 17 going on sale in the early 1980s. It was very futuristic in its design, with its now iconic polymer frame. This feature alone led to many rumors and misconceptions about the pistol, including that it could not be picked up by metal detectors. The resulting durability and light weight of using plastic for the gun’s frame instead of steel, along with its low manufacturing costs, literally revolutionized the firearms market. Today, polymer-framed handguns can be had from virtually all major handgun manufacturers. Additionally, the Glock had about half the parts of its auto-loader counterparts and three times the firepower of revolvers, holding 17+1 rounds instead of just six. 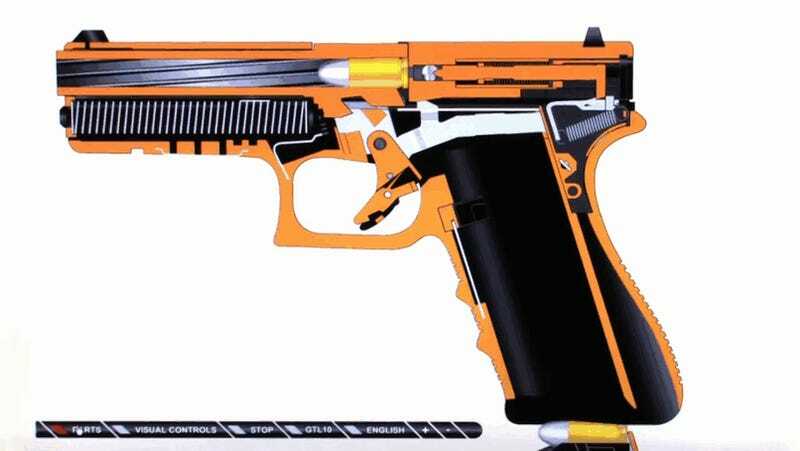 Glock’s line of pistols would also become increasingly modular in format, with many types sharing interchangeable parts. Perhaps the most notorious aspect of the Glock is its “Safe-Action” trigger mechanism, which is something between a double-action and single-action concept. With Glocks, every trigger pull requires the same force; about half that of a revolver’s double-action trigger pull, or around six pounds. The Glock’s only manual safety is a small nub in the center of the trigger that depresses while firing. This system, along with the pistol’s use of striker instead of a hammer, is called “Safe Action” by Glock, but the media has sometimes claimed it to be quite the opposite due to its perceived propensity for accidental discharges. Yet the Glock’s comparatively light trigger pull and lack of an external safety are also why so many shooters love them. The gun is immediately ready to fire—simply point and squeeze the trigger. Durability-wise, Glock’s are like the AK-47 of the handgun world; you can just beat them and beat them, but they still go boom. You could sit for hours watching people trying to destroy Glocks on YouTube, running them over with cars, burying them in mud, freezing them, even putting them in ovens. The design’s wider tolerances and smaller number of parts makes them able to be filled with gunk and still get the job done. Obviously, for someone like a Navy SEAL, who find themselves wading onto sandy beaches or chest deep in swamps, this is a very good thing. Finally, Glocks are relatively inexpensive considering their reputation, and the company is known to make aggressive bulk deals with law enforcement and military users. All this added up to a package that the gun-toting American public and law enforcement fell in love with, but the U.S. military, who has had a long and drawn-out struggle to adopt modern sidearm technology, did not. Over the decades, Glocks also became the preferred choice of local and state police departments around the U.S., as well as many federal law enforcement agencies. Meanwhile, Glock’s customer support rose to meet the growing demands of its varied customer base and the brand built up an incredibly loyal public and private following over the years. So, if American cops and citizens use them, why not soldiers? Since the War on Terror kicked off after 9/11, the U.S. military’s Glock embargo slowly waned. Glock models began to show up with various special-forces units on the battlefield, although without fanfare or official recognition. Green Berets, Rangers, Air Force Special Operations personnel and others have all have been seen toting Glocks on the battlefield, albeit in an inconsistent manner. One thing was certain: many operators in the field preferred them, especially compared to the all-metal, formally issued alternatives that were more susceptible to malfunction in the sandy deserts of the Middle East, not to mention much heavier. Then, last year, the Marine Corps’ special operations branch, known as MARSOC, formally adopted the Glock 19 officially into their inventory. Just a few years prior, MARSOC had updated its pistol inventory, buying thousands of highly modified, single-action .45 caliber 1911 pistols made by Colt. This gun is known as the M45A1. These pistols were not cheap to say the least. As such, the announcement that MARSOC would start officially running Glocks was a fairly big deal. The reasoning behind the formal introduction of the Glock into the MARSOC arsenal seems to have been that some of the people who were doing the trigger pulling in the field liked them better than the much more complicated and weighty 1911s. 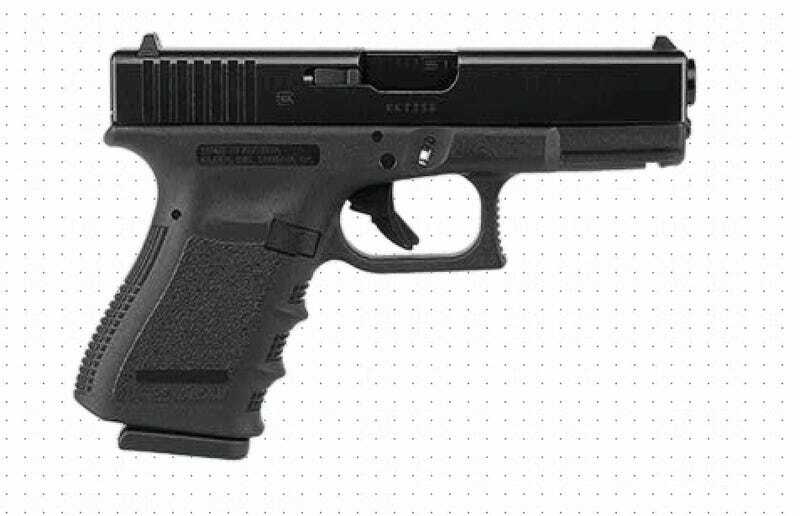 Glock’s simplicity, relatively light weight and high capacity could no longer be denied. Also, the fact that the Glock costs less than a third of the M45A1, at least to the public, made them downright affordable. If the reports are true and the U.S. Navy SEALs—by far the most celebrated special operations force in popular culture—are adopting the Glock 19 as their official sidearm, things may begin to change when it comes to other special operations units who are running the Glock 19s secondary to their primary sidearm, which is usually the Beretta M9. Although the SEALs have had Glocks in inventory for years, just like they have had multiple Heckler and Koch pistols (Mk23, HK45/C, USP etc), when it comes to perception, this switch is not a small one by any means. Culturally, the Sig Sauer P226 is a staple for the SEAL Teams. Moving to Glocks as an official sidearm really says a lot, and will elevate the already popular brand’s reputation even more. Think of it as an endorsement for by Michael Jordan in the sports world. It is a big deal. As for why such a change would be made, the answer is simple. The Glock 19 is smaller, can be more easily concealed if need be, is a half pound lighter than the P226, and it comes with Glock’s pedigree for being able to take absolutely brutal punishment and keep on shooting. For what the Navy could probably buy them for, they would be nearly disposable once they show serious signs of wear and tear. That is not to say that the P226 is not a phenomenal sidearm, but it is not getting any lighter or smaller, or reliable under certain conditions, than it already is. Still, if these reports are true, and the SEALs slowly phase out the Sig Sauer P226 for the Glock 19, don’t expect “Big Army” or the Marine Corps in general to follow suit anytime soon. Their requirements remain much more conservative, and even these requirements have been historically ambiguous at best. When the Army and USMC’s Beretta M9 is finally replaced, even going with a polymer framed pistol over an all-metal one would be a major coup, yet alone one with Glock’s notorious trigger and lack of an external safety. 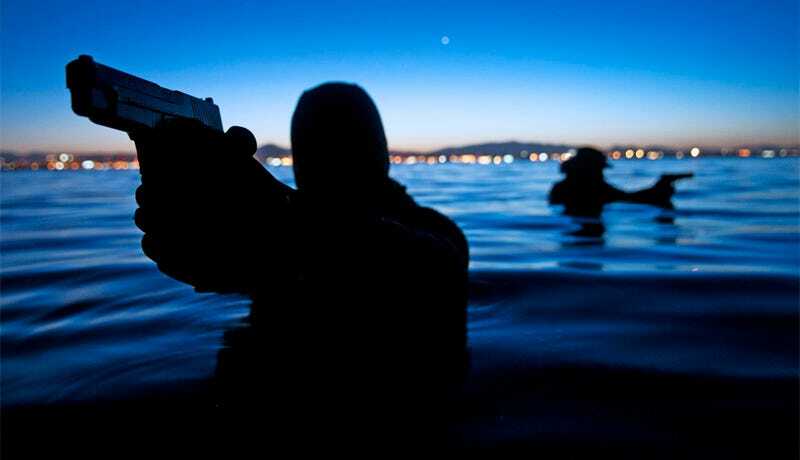 Still, if Naval Special Warfare makes the SEAL’s go-to pistol the Glock 19, it could further chisel away the all metal-framed pistols’ hold on the U.S. military at large.